According to Curt Cavin, during yesterdays Indycar Series team owners meeting, moving the Indianapolis 500 start time was at the top of the list of things to discuss. The issue was brought up by Roger Penske's right hand man, Tim Cindric, who had this to say: "It's worth one (ratings) point, at least"
Coincidentally I'm sure, if the start time is moved back 2 hours from 1pm to 11am, the possibility of Sam Hornish jr. coming back to run the double for Team Penske immediately opens up. It would also allow Indycar vets Robby Gordon, Tony Stewart, and John Andretti to duplicate what they have done in the past with running 1100 miles in a day. 16 time Indy 500 starter Michael Andretti also supports the idea, saying "I always thought it was something to talk about. It created a little more buzz." Today at Chicagoland Speedway, Canadian Alex Tagliani alongside investor Andre Azzi confirmed there intent to run the entire 2010 Indycar Series schedule under the banner FAZZT Race Team with the #77 Dallara. Jim Freudenberg of Rubicon Sports Agency who negotiated the deal to purchase the assets of Roth Racing will become Chief Operating Officer (COO), while Azzi is Chief Executive Officer (CEO) of the newly formed FAZZT Race Team. The new team has also hired 16 year Walker Racing vet, Rob Edwards to run the day to day operations. The team will be headquartered in Indianapolis but will have offices in Montreal including a research and development division. The final three races of the year are here, and as I look back, wasn't it just yesterday I was walking the garages of the Indianapolis Motor Speedway in the month of May? After Kentucky, I for one cannot wait to see what takes place at Chicagoland, under the lights for the first time at the 1.5 mile oval. After the dramatic finish at Kentucky almost a month ago, The Indy Car Series returns to an oval with much antisipation. If Kentucky was any indicator, this weekend at Chicagoland could shape up to be one of the best races of the 2009 season. Last season, that championship was decided, and a photo finished wowed, and confused the fans. Scott Dixon at first was named the winner of the Peak Anti Freeze Indy 300, but upon further review, the win was awarded to Helio Castroneves. Dixon, clinched the title with the second place run, his second career championship. 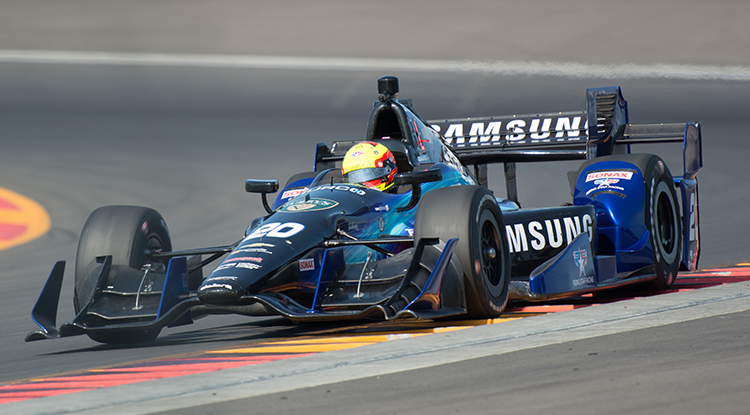 The three drivers in contention for the championship will be front runners Saturday night, Dario Franchitti, Ryan Briscoe and Scott Dixon will look to keep the nose cones clean, and battle for the win. Dario Franchitti is the only one of those three drivers to have a win at Chicagoland. Dixon has been second at Chicago the past three years. There should be alot of contenders this weekend, not just the red and white Penske and Ganassi cars. Look for it to be one of the most competitive races of the season. 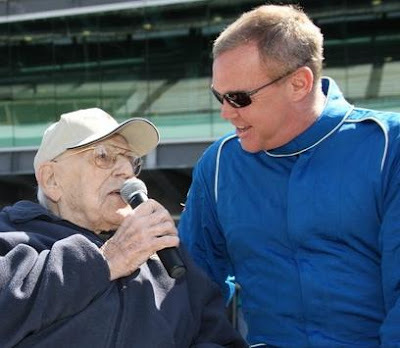 After Ed Carpenter's performance at Kentucky, he proved to the Indy Car world he is worthy of the seat, and that Vision Racing is a force to be dealt with. Dreyer and Reinbold has also made great strides on the ovals, and Mike Conway is riding high after the podium at Sonoma. HVM should be pretty competitive as well, EJ Viso ran well here last season, and Doorbos sat on the front row at Kansas. Andretti Green is always strong at Chicagoland, all four drivers will be up front, trying to finish their season on high notes. Also, Ryan Hunter-Reay is poised for a great run for AJ Foyt Racing. My predictions are going to be hit or miss this week, as anything can happen. Out of the four red cars, I will take Scott Dixon. even thought Helio has been the man at Chicagoland, I think all the second place finishes for Scott Dixon will pay off this weekend and will head to victory circle. My darkhorses, well just like Kentucky, I am going to take Ed The Hammer Carpenter. I don't think he should be in the darkhorse catagory anymore, but he is one of my picks for this weekend. Tomas Scheckter will also be strong, but his record in the 43 car this year has been subpar. I will also take Oriel Servia to be a contender and a strong runner for a top five. In this addition of where are they now? We showcase a driver that made his name in the Lights series. Thiago Medeiros came to America in 2003 to pursue his goal of running in the Indy Car Series. He ran his first season for Genoa Racing, and started from the pole in his first ever race. Medeiros captured his first win in the last event at Texas in 2003. He then moved to Sam Schmidt Racing in 2004. He won the Indy Lights Title in 2004 and was 4th in points the next season. He has 9 career poles and 7 career Lights wins. I caught up with the 27 seven year old San Paulo native, to see what he has been up to. Thiago only finished two races outside the top ten in his Lights career, a remarkable stat that goes a little unknown to Lights series followers. This consistency is what led him to the championship in 2004. He didn’t finish at Indy and Milwaukee in his rookie season. “In Milwaukee, we broke a wheel baring, and had a crash at Indy. My first trip to Indy, my race lasted the first two corners. I had no place to go on the outside as another driver spun below me. 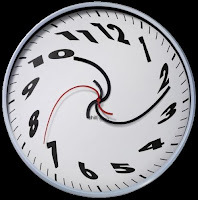 Races are not over until the finish line, I learned you have to be around at the end to win. You gain a few spots in the first corner, or lose the race. I always drove on the limits of the car, but I never over drove my own limits, I had the talent and experience, and when you have that, you can save the car from an accident.” Thiago recalled. Now living with his parents in San Paulo, Thiago works at a driving school, teaching people how to race. He also teaches San Paulo natives some maneuvers on how to escape kidnappers with armed cars which is a problem in San Paulo. He recently got engaged to long time girlfriend Aline. He is studying to get his helicopter license and he may begin to run in a Semi Truck division, or stock cars in Brazil. As I'm sure most of you already know, Penske's Will Power and Conquest's Nelson Philippe were both involved in a horrific incident in yesterdays practice. As seen above. He will be in hospital for the next few days recovering- open fracture to his left foot, broken fibula on his right leg, concussion... He... was operated on and has been put back together (new nickname: humpty dumpty) Power is doing well also.. he is stable and can move. Update: Leilani and team 3G have now cancelled there appearance this weekend, but plan on running in the season finale at Miami-Homestead. It appears as though 33 year old Leilani Munter will be piloting the #57 Women Extenze Dallara in the Firestone Indy Lights for team 3G, but using an already established FIL teams garage/equipment. Although unconfirmed, it appears she will be driving at Chicagoland next weekend. Munter has 2 FIL starts under her belt, with the last appearance coming in September of 2007 where she started 12th and finished 13th at Chicagoland. The Indy Car series rolls into the wine country of Sonoma, California this weekend for the final road course of the 2009 season. This may be the “wild card” if you will that decides the 2009 championship. Infineon Raceway saw Team Penske take the top two spots last year at this race, with Helio Castroneves winning and teammate Ryan Briscoe second. Helio started from the pole, and beat Briscoe to the line by over five seconds. 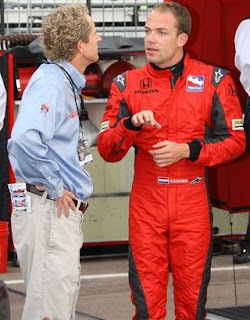 Scott Dixon, who was battling Helio in the points race, finished 12th that day allowing Helio to gain 35 championship points. This weekend at Infineon is up for grabs. In the four races that have been held, there hasn’t been a repeat winner. That trend may continue this week as championship contenders Ryan Briscoe and Dario Franchitti look to make their move to atop the point standings. The 75 lap race will start at 5 p.m. Eastern on Versus. The Firestone Indy Lights Series will also tackle the Sonoma course for 40 laps in the Carneros 100. Unlike last season, only one race will be ran for the Lights at Sonoma. Last season, Franck Perera who started the season in the Indy Car Series, took the pole and the win, only to be duplicated the next day by Pablo Donoso. The points race is shaping up between J.R. Hildebrand, Sebastian Saavedra and James Davison who picked up his first win of the season two weeks ago at Mid Ohio. In the Lights race, I will take the top 5 in points over the rest of the field. James Hinchcliffe and Wade Cunningham round out that five, Wade won at Infineon back in 2006. Hinchcliffe has finished in the top 6 in all the road and street events this season. But I won’t sit on the fence, and will take James Davison to make it back to back on road courses. Watch for Martin Plowman as my darkhorse. On the Indy Car side of things, I will take Helio Castroneves to take his 2nd straight Sonoma victory. Helio is always strong in the wine country, he has never qualified out of the Top 5 there, and has the victory last season to go with 3 other Top 5’s. My dark horse, Andretti Green and Andretti AFS Racing. Danica has been making a lot of progress on the road events, and Marco won his only race here back in 2006. Tony Kanaan still has time to salvage and decent season, and Hideki Mutoh was 5th at Mid Ohio. Look for Franck Montagy to be impressive in his first run as well. Also, one other driver to watch out for is E.J. Viso. I think the addition of Robert Doornbos will help E.J. tremendously. E.J. was 6th at Sonoma last season, and is also strong on road courses. As of now, on September 1st DirecTV will no long carry Indycar's TV partner VERSUS. They are currently in negotaions but if a deal can not be struck, it could be a huge blow to both the Indycar Series and VERSUS. If you have DirecTV and would like to voice your opinion you can contact the television provider by phone at 1-800-531-5000, or by email. At the end of this season in October, Andretti Green Racing will officially become Andretti Racing. Andretti Green promotions which promote both the St. Pete and Toronto races, will split from the racing devision. While Michael Andretti will wholly own and operate the racing side, Kevin Savoree and Kim Green will wholly own and operate the promotions side. 16th And Georgetown: Spending 3 weeks in Indy, including 30+ hours of LIVE coverage, what are some of your favorite moments from the Month of May? The feeling of knowing you can do 32 hours of live television! Bringing my dog Baxter on a plane for the first time and having to put him under the seat in front of me… oh wait… I hated that. 16th And Georgetown: Have any fans asked you to sign anything weird? Any cowboy hats? 16th And Georgetown: Although you've had experience on the road/street courses with the ALMS, your a rookie on the ovals with the Indycar Series. How beneficial has it been to have a veteran like Jack Arute showing you the ropes? Working with Jack has given me such an advantage during my first year covering IndyCar. He knows his stuff and he’s extremely passionate about it. He’s helped me, while at the same time given me room to have my own style.. From day one, he has treated me like I’m his equal, which I appreciate and respect. 16th And Georgetown: You served as the 2001 500 Princess. How did that help propel you into a roll covering the Indycar Series? Lindy Thackston: I came into it with a huge appreciation and understanding of the series. (But I think that also comes from growing up in Indiana.) Being a princess helped me know what to expect from the Month of May, specifically when it came to the weeks leading up to the actual race and all the events surrounding the 500. 16th And Georgetown: By my count, this will mark the 3rd blogger Q&A (Is it May yet? , Pressdog) you've done. You've got to be getting tired of us, correct? Be sure to check out Lindy's website, and fallow her on Twitter!! I'd like to thank Leslie Byxbee of VERSUS for helping me out over the last couple of weeks with getting together all the Q&A's for Bob Jenskins, Robbie Buhl, Jon Beekhuis, Robbie Floyd, Jack Arute and last but certainly not least Lindy Thackston. Sarah Fisher Racing announced today the addition of what they said was a 2nd Dallara. The Chassis was graciously given to SFR by one of there biggest sponsors, Hartman Oil. The much lighter new chassis will serve as Fishers backup for her next race at Chicagoland in 2 weeks, but should be race ready as her primary for the season finale in Miami. The 2009 Dallara which is replacing her current 2003 model was #2 out of the Italian chassis builders shops, with the first going to Tony Kanaan. Today's announcement contradicts an April 10th report that SFR had already purchased a 2nd Dallara from Sam Schmidt Motorsports. It also makes you wonder how they had 3 entries on the original Indy 500 entry list, #67, #67 T, and #68. "Oh, my gosh! I'm absolutely shocked. I just got a brand new car; I felt like I was on the 'Price is Right. "I actually thought I was coming today to shoot a Dollar General commercial. To have a spare car, it means we can be more aggressive and be able to put it on the line even more. It will make a huge difference in our racing efforts. "I consider Sarah a friend. I'm sure I could write a check and sponsor other race car drivers, but Sarah's relationship is more than race car driver or team owner. I find her very interesting and intelligent as a person. She's just a unique individual. After multiple reports that Alex Tagliani and Jim Freudenberg of Rubicon Racing fame will get together for a 2010 IRL entry, Racer.com goes into even more detail. Apparently Alex has found a Canadian investor to help with the purchase of equipment. What equipment might you ask? Tags has bought out all equipment including 4 Dallaras off of Indycar vet Marty Roth. Although he purchased 4 chassis it appears they'll just be a one car team, at least to start out with the possibility of a 2nd for the 94th Indianapolis 500. Tags then hopes to bring up a "young Canadian" to the Indycar Series in the future. If I were James Hinchcliffe I'd keep my cell phone close. The purchase of Roth's equipment supports the rumor that Gil de Ferrans team will be a buy out of a current team. Possabilites could include Conquest and Rahal Letterman. There were rumors about this time last season that AGR co-owners Michael Andretti, Kim Green and Kevin Savoree could be splitting up for the 2009 season. As you know it didn't happen, AGR is still standing strong, well at least there standing. New rumors have now surfaced in the form of a Robin Miller SPEED T.V. article. RM reports that Gary Peterson of AFS/AGR's Indy Lights team could be moving up to the big time as a co-owner with Michael Andretti. Maybe theres more to AFS/AGR running Frank Montagny at Infenion than was originally thought. 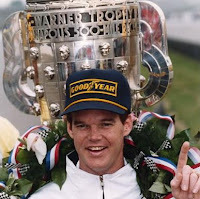 Q&A With Al Unser Jr. 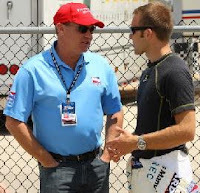 Recently, I had the privilege to conduct a phone interview with two time Indianapolis 500 winner Al Unser Jr. 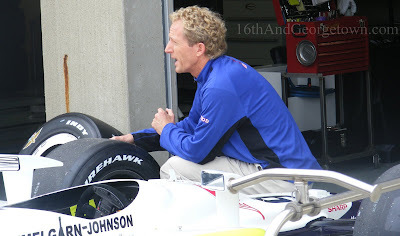 I was fortunate enough that Al took time out of his busy lifestyle, and job with the Indy Car Series to answer some questions for 16th And Georgetown . Al as thirty four career wins, including his first Indy Racing League win in 2000 at Las Vegas. It was a great experience for me to interview one of my favorite drivers growing up, so I hope everyone will enjoy this Q and A.
Tony: What do you think of the Push to Pass? Tony: What do you think of the 2010 schedule? Do you prefer ovals or road courses? Al Jr.: It is a shame that Milwaukee and Richmond went away, Indy Car tries to keep a balance of ovals and road courses, hopefully they can keep that (balance). Tony: What does it mean to have Toronto back on the Indy Car schedule? Al Jr.: I love it! One of the premium road races for CART, it was a great success. Good to see the cars that run the Indy 500 back at Toronto. Tony: With 34 wins in your career, including the two Indy 500 victories, besides the two wins at Indy, what other wins stand out in your career for you? Tony: You have had your struggles in and out of the cockpit, I believe you have been sober for 2 and half years, how has that changed Al Jr.? When did you say to yourself, I need to do something more? I need to change and seek help? Al Jr.: I have completely changed in those 2 and a half years, I am not even the same man. I am not even the same guy I was in my teens or twenties. God is in my life in a big way now. He was able to do more for me then my friends and family could do, god accomplished more for me to quit drinking. I am truly blessed with being an alcoholic, having the disease, if not, God wouldn’t be in my life today. He has blessed me with my position as Indy Car d river coach, and an assistant to Brian Barnhardt in race control. My life now is all about service, servicing my fellow man, helping others, not just myself. I hit my rock bottom when I got the DUI on January 25, 2007. It crushed me. It was my final straw. Tony: Tell me about Force for Earth? Al Jr.: It is an all natural product. A fuel and engine conditioner. Put it in your car, cleans carbons out of the exhaust pipes, lowers admissions, and will give you 7-19% better fuel mileage. Go to http://www.unserrobey.com/ for more. Tony: Tell me about your museum. What will you see their and where did the idea generate from? Al Jr.: It tells the story of the Unser’s. How they made it from Pikes Peak to Indianapolis. It also shows the revolution of the automobile from the beginning to present day. Anything from tires to exhausts. Firestone has a great display in there with tires from 1911. Tony: Who is your pick to win the 2009 Indy Car Championship? Al Jr.: It just keeps going back and forth between Briscoe and Dixon. I think the luck is falling Briscoe’s way. Just like my championship in 1994, the ball is bouncing his way. When your hot, your hot, in 1994 I was hot, and right now Briscoe is hot. After a few days of speculation that AGR would run a 5th car at Infenion for Franck Montagny, today they made it official. Montagny will run an AFS sponsored #25 Dallara in next weekends Sonoma GP. 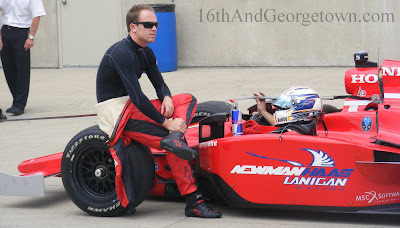 Montagny ran several races last season for AGR's now defunct ALMS team, and has been rumored for a possible 2010 Indycar ride. "This is an exciting announcement for AFS/Automatic Fire Sprinklers, Inc. California is an important market for our company and we believe Franck will give us a good shot at competing for a win. "In the midst of this economic downturn, it's important for AFS/Automatic Fire Sprinklers, Inc., to keep our name out there to attract new customers and the Indy Racing League also provides an excellent venue for entertaining current customers. Remember the Season opener, when Danica and Rapha got together nearly tipping over a Port-O-Let? Well, the great mystery of "who was in it?" has finally been solved. The smelly box was occupied by no other than the President of IZOD!! After and exciting race at Kentucky, the Indy Car Series heads to the road course at Mid Ohio. With the Push to pass still enabled for the race, it will be exciting to see how it leaves its mark on a road course, as it left every Indy Car fan thrilled after Saturday nights Kentucky Indy 300 won by Ryan Briscoe. Mid Ohio last year was won by Ryan Briscoe. Penske swept the weekend as Helio Castroneves took the pole. It is hard to believe that Will Power, after finishing 4th there last year, will not be in the field this weekend. This mark’s Indy Cars third trip to the historic 15 turn 2.4 mile road course. 85 laps will make up the distance, and look for Penske and Ganassi to pace the field most of the day. I look for Scott Dixon to get it done this weekend. Scott, a Jack of all trades, won the inaugural race at Mid Ohio in 2007. He sits eight points back of points leader Ryan Briscoe. Briscoe, will also be up front this weekend, and I expect him on the podium as well. Ryan Hunter Reay is my dark horse. The ABC Supply Co. #14 finished 6th with Darren Manning last year, and Ryan finished 10th. He made his Indy Car debut two years ago at Mid Ohio. Catch the race Sunday live on Versus at 1 PM and the Lights race will air Monday at 4. According to the Indiana Buisness Journal, the Indycar Series is finally closing in on a tittle sponsor. 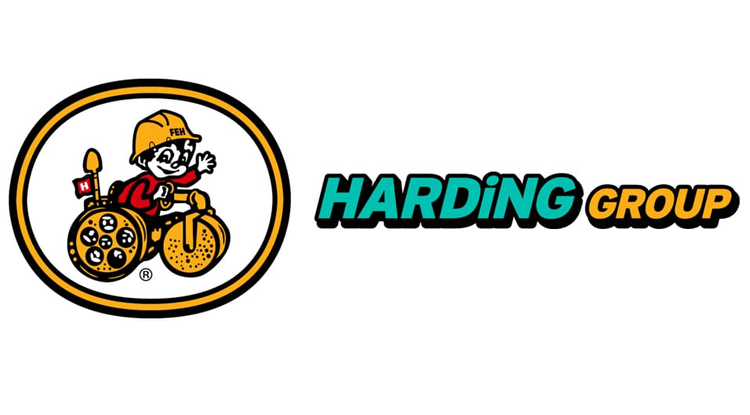 All of this comes just a couple weeks after SpeedTV's Robin Miller reported that the IRL has turned down tittle sponsorship offers from Menards. Miller said that Menards was offering much less than the 8-12 million that the IRL has reportedly been requesting. UPDATE: Check out JP's blog for a specific company that could be interested. After days of speculation, Robert Doornbos has finally signed with HVM racing. Doornbos will take his new teamate, E.J. Viso's old number (#33) for the remainder of 2009 season and through 2010. According to brazilion news, KV Racing driver Mario Moraes will be absent from the starting lineup of this weekends Mid-Ohio GP. Moraes will miss the race do to "family problems". If you fallow Mario on twitter, then you probably know that his father has been having health problems over the last few months, so I assume this has something to do with it. KV has yet to announce a replacement to pilot the #5 Dallara, but if I were Paul Tracy I'd stay close to my cell. 16th And Georgetown: (asked before KY) As the "technical" voice of the VERSUS T.V. trio, what do you believe is the cause for recent passing problems and how would you fix it? Jon Beekhuis: (answered before KY) Wow, way to lead off with the $64,000 question! Even series officials have admitted to scratching their heads on this one. When it comes to ovals, two lanes of racing takes grip. The two largest contributors to overall grip are downforce and tire adhesion. For many of the ovals, the IRL rules mandate teams run more downforce than they really need. The theory is if the air gets disturbed by another car, there should still be enough margin to run close or in a second groove. This has worked great for many years but guess what…Racers being racers, the engineers have legally found ways to reduce this margin to make their cars faster. So a track that was run easily wide open a few years ago now has cars on a knife edge. In my opinion, the way to fix it is to add downforce, tire adhesion or both. Tire adhesion has a longer turnaround time, so the quick fix is to add some downforce. This is exactly what the series has planned for Kentucky onward. The first step is pretty small, so I wouldn’t expect an immediate return to the intense side-by-side action from a few years ago, but it should certainly be a step in the right direction. 16th And Georgetown: From someone who served as a Champcar analyst, which track on the CCWS lineup would you like to see visited by the Indycar Series? Jon Beekhuis: That’s a no-brainer: Surfers Paradise. Of course IndyCar has already been down under and wasn’t able to add it to the schedule. Second choice: Road America. 16th And Georgetown: Being a former CART driver and Indy Lights Champion, what aspects from your driving career are most helpful now that your in the Television booth? Jon Beekhuis: Of course it gives me the opportunity to speak from experience, but funny enough one of the most important aspects is recognizing that my time is done behind the wheel. Huh? You see, I feel that in order to truly appreciate what another driver is doing you need to wipe any “wish that were me” or “I could do better” thoughts. It puts you in a position of speaking as a fan of the sport, not somebody with an axe to grind. It doesn’t mean you can’t call a spade a spade, you just do it with a smile! 16th And Georgetown: Earlier in the season, Robbie's driver Mike Conway put his Dallara into the wall. Your first words to Robbie were something along the lines of "how much is that gonna cost you?" Be honest, from the time you found out that Robbie was going to be in the booth, you had that comment ready to fire. Jon Beekhuis: Nope, not pre-canned. I have known Robbie for a long time but that was the first time we had worked side-by-side other than our audition in the off-season. We spent a bunch of time hanging out at Spring Training and it became immediately obvious he would most likely end up as the prankster and me the straight man, so this stuff comes naturally off the cuff. I really enjoy our booth team and I’m pretty sure there will be plenty more where that came from! I found this thread over at TrackForum, and thought I'd try to help spread the word. 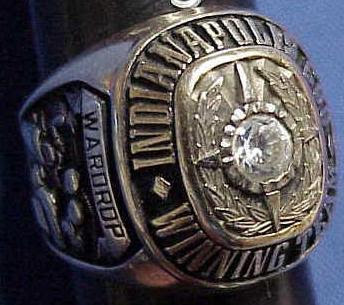 The good folks over at TF are trying to scrape up enough cash to buy the ring, then give it back to Tim. I know times are tough, but this is a great opportunity to pitch in anything you can to help out a true racer. 16th And Georgetown: How does it feel to finally be back in the T.V. booth? Bob Jenkins: I can't even begin to put into words how thrilled I am to be back in TV. And not just in TV...working in the series that has been my favorite since I was a child. Growing up in Eastern Indiana and after becoming an Indy 500 fan, my goal was to combine my love of racing with my profession as a broadcaster. Although I've worked in almost all types of motorsports, the IndyCar Series is and always has been my goal. Although a great portion of my career was spent in Nascar, there is no question that my current job is where I've always wanted to be. 16th And Georgetown: If you could go back and broadcast any of the previous 93 Indianapolis 500's which would it be? Bob Jenkins: I'd probably have to say the Indy 500 in 1960. That was the first one I attended when I was 12 years old. Although I wouldn't take anything for the memories of traveling to Indianapolis, and riding the train to the Speedway with my father, the '60 500 was one of the most exciting in history. I can remember sitting in Grandstand "C" that day, and looking toward the 4th turn almost every lap, to see if Jim Rathman or Rodger Ward was leading. It would have been fun to be a part of the radio or TV crew that day, but I'll settle for the fond memories. 16th And Georgetown: You host a 1950's music radio show in my hometown of Brownsburg, IN. What's your favorite group from the 50's? Bob Jenkins: That's a very tough question. Generally speaking I love doo-wop groups. Their "street corner harmony" is something I love to listen to but I'm not sure I can name one group as being my favorite. My favorite artist of the 50's is Buddy Holly. 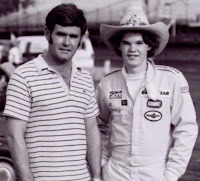 While covering the IndyCar Series a few years ago, I drove from Ft. Worth, Texas to Colorado Springs and visited Lubbock, Texas where he grew up and is buried. His "new sound" brought a whole new dimension to music. I'm also a big fan of Fats Domino. I had the pleasure of seeing him perform live one evening...something I'll never forget. He bridged the gap between R & B music and "pop". 16th And Georgetown: In a recent post on your website, you wrote: "I'm hearing there's a better than 50% chance she'll [Danica] go". 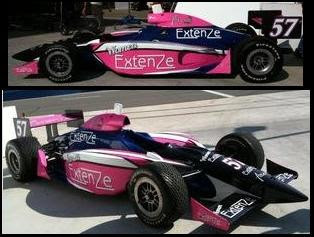 What kind of effect do you see on the Indycar Series if Danica does decide to leave? Bob Jenkins: I think it will be a very big loss if Danica goes to Nascar. 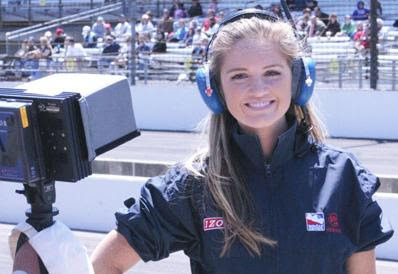 She has captured the interest of the media and that is great for the IndyCar Series. Having said that, racefans are quick to forget. Some thought the loss of Sam Hornish, Jr to Nascar a few years back was going to be a big blow to the series. But open wheel race fans, while interested in what Sam does in stock car racing, haven't stopped following the series because he isn't in it anymore. Personally, I think it would be a mistake if Danica went to Nascar. She has a lot to accomplish in open wheel racing, including an Indy 500 win, and I'm hoping that goal in itself will keep her where she is now. According to Racer Magazine, with the loss of Alex Tagliani Conquest Racing will compete in at least 3 more Indycar races this season. Racer reports that IRL vet Kosuke Matsuura will pilot the #34 Conquest ride in his homeland of Motegi, Japan. 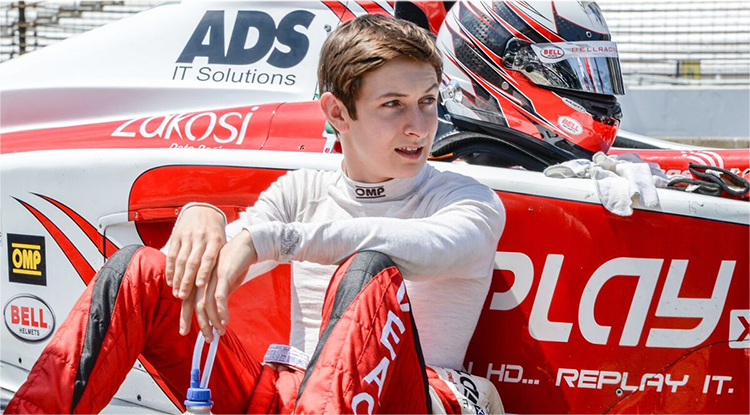 Nelson Philippe will then jump in the ride for both Infineon and the season finale at Homestead-Miami. What started off to be a horrible weekend was saved after a great Saturday night of racing. First off, thank you IRL!! I think you fixed the passing problem. Sure the middle 100 laps or so were a tad bit boring, but the last 25 were some of the best I've seen. Secondly, congrats to Ed Carpenter and the entire Vision Racing team who kept the #20 car in contention with a solid late pit stop. One of these days Ed's gonna get a win. You could hear the disappointment in Carpenter's voice as they entered turn 1 and 2 of the 201st lap. He said something along the lines of: I can't believe were this close to a Penske car on a mile and a half oval. I could cry. And he almost did.